UPDATE: Phones Review would like to make a public apology about this saga of the Galaxy Note Jelly Bean 4.1.2 update, we have looked into this further and have discovered the software update does not exist at all. We know the Samsung Galaxy Note 2 has the Jelly Bean update but as far as the Note 1 is concerned it seems fake. We believed that Android Geeks as well as email confirmation via users that the update for the Galaxy Note was correct, we have looked into this and asked many Galaxy Note users if they have had the update and they all replied saying no. So once again we are so sorry to lead you down the wrong path and would gladly take a slap on the wrist for taking notice of the source below, they will no longer be used as a source from this day forward. At Phones Review we always try to keep readers informed about various operating system updates for their devices and many of our recent posts on this have regarded Jelly Bean updates for Samsung devices. Recently we told how the original Samsung Galaxy Note would soon be receiving the Android 4.1.2 Jelly Bean update and today we can tell you that the update looks as though it has indeed begun to roll out, news that should please many, many readers. Only yesterday we told how the 4.1.2 Jelly Bean update was now rolling out to the Galaxy Note 2 and now it seems first-generation Galaxy Note owners won’t have to wait much longer either. When we told recently that the 4.1.2 update was set to arrive shortly, Samsung had not announced a firm date but it definitely looked imminent as the company confirmed what the update would bring. This included the Premium Suite applications package, the S Planner handwriting feature and improvements to S Note. There will be plenty of eager Galaxy Note owners eager to get hold of the 4.1.2 update then, although some will undoubtedly have to wait longer than others. Today we have learned through Android Geeks that the firmware update for the Galaxy Note N7000 has started to be pushed out, with a user in Poland stating that the update was now available there. The reader confirmed that he had just received the update for his Galaxy Note via Kies, which of course is great news for owners of the device in Poland. Although the update will be rolled out to all regions and carriers eventually, we cannot say yet which areas will be the next to see the update. However it could be pushed to several countries at once and the news that it has already reached Poland is very promising for other owners waiting for 4.1.2. Jelly Bean. If you are a Galaxy Note owner it could be worth your while to check if the update has arrived for your device yet, either as an OTA update or through Kies. We’d very much like to hear from readers regarding this update, especially regarding where you live. Are you in Poland and have also just received 4.1.2? Maybe you have received it in another region already or maybe there’s no sign of it where you are just yet? Let us know as this could be useful to other readers and share your thoughts on this by sending your comments to us. Just update to 4.1.2 for Malaysia. Just to be sure: Are you talking about the Galaxy Note I or Note II 😉 ? It doesn’t matter at all. I also have a gt-n7000 (bought @ amazon in Germany) and I have always received updates in Poland without any problems (both via Kies and OTA). As far as the jelly bean update is concerned, there is still none for my device. My Note n7000 is updating right now! I hopped online to see what the green Android guy has been downloading for so long. Been about 2 hrs so far. I have an unlocked Note & use Straight Talk in Vermont USA. I have German Note who almost always get updated first and no update here. Unless I see a video of someone’s JB I call fake. When is it supposed to touch India? So who is actually responsible for the update? I have Galaxy 1 Version N7000 (International version) bought in USA, Now Im in China with China Mobile telecom. Is Samsung responsible for update, or China Mobile, Does having bought in USA make any difference? Does that Im in China make any difference as to when I receive the update? Update available for note 2 as of today in Australia via kies. Glad I got it before my Mrs original note. That would have ducked way hard after bragging since I got it. i received the update for note 2 but i lost air view ???? Bogus, at least have the courtesy to take the article down after confirming that no update has rolled out. Got my 4.1.2 update 10 mins back!! Bought the fon in Germany but am currently visiting india..so I guess the update cud b global? Oh! It’s on my Samsung Galaxy Note 2.n 7100.About 20:30hrs 15> Jan.2013! Well.the news from samsung for jelly bean seems fake.only jb rooms available on sites but with bugs.have been waitting for it from months.i am going to sale my note and get a s3 finally. We have updated the article with a public apology…. 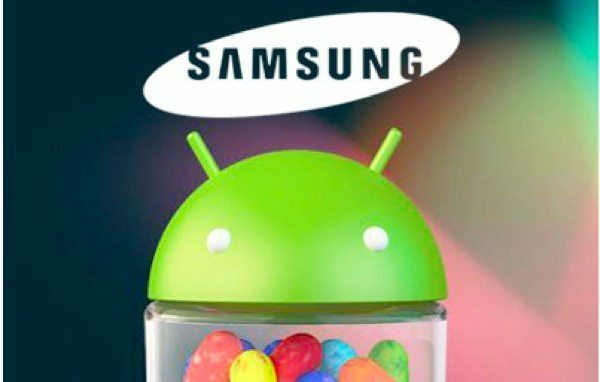 Samsung have issued an EU users handbook for jelly bean updated to download for GT-N7000 since 25 Jan 2013 so can’t have much longer to wait. Still no update for Note 2 in Europe. Tired of waiting and checking….. Next phone will be a Nexus! I will not be buying another Samsung note device until after my galaxy note GTN7000 has been updated with the most uptodate jellybean fo my Note1….SAMSUNG TAKE NOTE OF THIS STATEMENT…I AM SURE THERE ARE OTHERS JUST LIKE ME WHO ARE FEELING LET DOWN FOR PUTTING GREAT FAITH IN YOU FOR AN UPDATE..